A light dusting of snow over the city this morning, not enough to impede bikers or hikers but enough to frost the buildings and streets. Intermittent parades briefly clog the streets, Carnivale celebrations beginning their happy occupation of the city. Another ray of sunshine this weekend was a note letting me know that I had been given a blog award by two writers who’s work I follow and enjoy. Isabella writes at A Touch of Dutch and has long been a guide and mentor for the expat community (and for me) here in the Netherlands. She untangles the mysteries of Dutch language and culture for a wide audience, and posts pictures and stories from around the country. I always enjoy reading her recommendations and participating in her discussions: my goal is to become as ‘at home’ as she has become here. Tiffany arrived in the Netherlands more recently (just over a year ago) and has been publishing her expat blog since September. She brings a fresh perspective to everyday life in her Clogs and Tulips essays, and always sees cultural and social differences with a traveler’s insight and good-natured humor. I appreciate her enthusiasm and passion for her new home, remarking on the many amazing things about living abroad that I sometimes take for granted. Many thanks to you both, and keep up the wonderful work! Maastricht Minuutiae – Amanda is a skilled observer of life’s twists here in Maastricht. Op de fiets naar de Starbucks -- Harry is a Dutch friend and colleague who now lives in Minneapolis: we seem to mirror each other’s expat experiences and I learn a lot of Dutch reading his weekly updates. Aly’s Pretty Swede -- Aly is a student and friend of the family who is midway through enjoying her expatriate year at school in Stockholm. The Blue Suitcase – Bonnie writes wonderful, literate essays about life with family, friends, and birds in Amsterdam. A Letter from the Netherlands – Amanda is another person who brings the expat blogging community together and recognizes the outstanding talents among us. A Flamingo in Utrecht – Indigo posts a daily picture with commentary about little-noticed bits of life in the corners of her neighborhood. Orangesplaash – An Indian expatriate and freelance writer who I recently discovered and enjoy a lot. 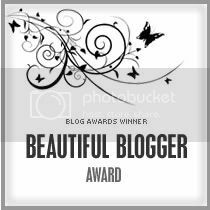 I know that some of you already have a Beautiful Blog award, the remainder should consider yourself nominated ! And thank you all for your writings; I enjoy your thoughts and catch up with your adventures regularly. For those new to the Netherlands expat blogging community (we need a name! ), you should also check out the popular blogs by Invader Stu, Nick (Here and Now), This non-American Life, and Amsterdam Asp: they’ve been writing a long time and always have worthwhile things to share and to discuss! Finally, I keep a public RSS Feed on NetVibes that carries a feed from all of these blogs and others (generally organized as Travel on the left, Expats in the center, Entrepreneurs towards the right). I also keep a Google Reader feed that can be accessed through my profile. Recognize and link to the person who nominated you. Nominate (or note) 7 bloggers who you like. This is such a pleasant surprise..Thanks Dave! Liked the way you personally described all the bloggers..speaks so much of your love for the expat community!! Hope all it well in your corner of Maastricht. Thanks for the mention! And some great pics of Maastricht in your later post.